The Truth About The Harry Quebert Affair, written by Joël Dicker and starring Patrick Dempsey (of Grey’s Anatomy fame) will soon, courtesy of MGM, hit our screens. Under Jean-Jacques Annaud’s direction, Dicker’s entire novel will be brought to life over ten episodes. This is a similar approach taken to The Handmaid’s Tale, written by Margaret Atwood and starring Elizabeth Moss, which won a host of Emmy awards. Having finished The Truth About The Harry Quebert Affair only days before the interview, I was intrigued to meet Geneva born Joël Dicker, a writer with a novel which belies his mere 28 years. He is hailed as Switzerland’s coolest export since Roger Federer, with rights sold to 45 countries in 32 languages and over 2 million copies sold in less than a year. For me, minus the supernatural element, it was reminiscent of a great Stephen King novel. Dicker laughs when I mention it – apparently, I’m not the first to make the comparison although he has not, yet, read any of King’s novels. I suggest that with his busy schedule he could try Joyland, far shorter than King’s regular books but, in my opinion, up there with some of his very best. Dicker, like King, has a way of bringing his books to life by producing such fully formed characters that you feel as if you already know them personally and you never want to let them go. In the summer of 1975, struggling author Harry Quebert fell in love with fifteen-year-old Nola Kellergan. Thirty-three years later, her body is dug up from his yard, along with a manuscript copy of the novel that secured his lasting fame. Quebert is the only suspect. 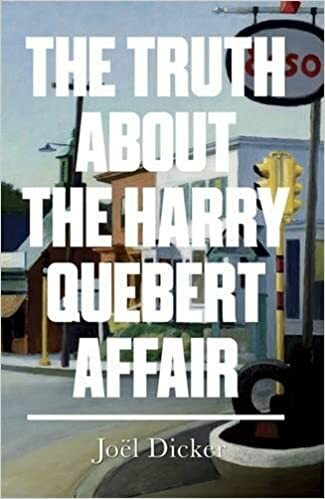 Not just a book about an unsolved murder case, The Truth about the Harry Quebert Affair explores the price of fame and the seduction of success, the ferocity of the publishing industry and the power of the media, love in all its forms and what it means to be a truly great writer. Dicker is currently on a roller-coaster ride, jetting in and out of countries so fast, while promoting his book, that his feet have barely touched the ground. Yet, relaxing over a coffee in the Ballsbridge hotel, he is charming and humble, excusing himself for a moment while he finds a socket to re-charge his iPhone. 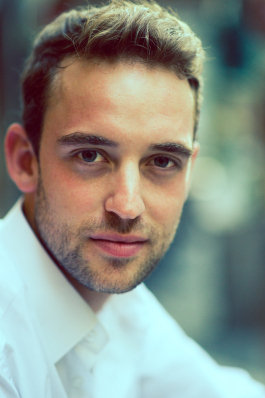 His love of books was fuelled by his mother who works in a bookshop called, La Librerit. Dicker tells me “it sounds like bookshop but it’s a play on words – to be free and to love.” Directly translated to For The Love of Books, this is a Geneva bookstore with an immense stock of children’s books which no doubt whet Dicker’s appetite from an early age. Dicker chose America as the setting for his novel, mainly because of the amount of time he spent there as a child. His cousins lived in Washington DC and had a summer house in Maine; an ideal location for them to spend their summer holidays and a feeding ground for Dicker’s imagination.